We looked after the North American theatrical, DVD and VOD release of festival hit Hello, My Name is Frank starring Hayley Kiyoko, Garrett M. Brown, Rachel DiPillo, Mary Kate Wiles, Travis Caldwell and Tess Harper. 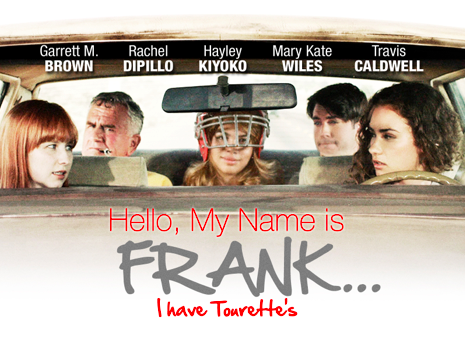 Hello, My Name is Frank follows Frank (Garrett M. Brown), a reclusive 59-year old man with Tourette Syndrome who is left despondent following the death of his long-time caregiver. Recognizing this, the caregiver’s teenage daughter Laura (Rachel DiPillo) drags a reluctant Frank along on a life-changing road trip with herself and her two friends – rebellious Alisa (Hayley Kiyoko) and God-fearing Kim (Mary Kate Wiles). What follows is a journey that sees the characters bond, learn, grow, and come into their own. This heartfelt dramatic comedy tackles its subject matter with a respectful yet humorous tone. We partnered with the Tourette Association of America (TAA) to release Hello, My Name is Frank during Tourette Awareness Month, with a portion of proceeds donated to their cause. We handled all aspects of the North American PR campaign, securing national and local news, reviews and features, digital content placements and third party social media support.